I have two problems with this version of the FLT story, and the way it shows a character’s death preventing the revelation of a vital secret. First, we’ve all “seen that movie” many, many times (see the TV Tropes entry on the His Name Is … trope, as well as the related tropes Conveniently Interrupted Document and Lost in Transmission); it’s kind of hokey, isn’t it? Second, there’s no evidence that Fermat wrote the passage right before he died. We can’t go back and date the ink he used (or breathalyze the page for alcohol content, for that matter), as the book was lost after his annotations were transcribed, but we know from Fermat’s correspondence that he read the book fairly early in his career, in the 1630s. Most scholars agree that this particular remark was written two decades before he died. So Singh is putting an over-dramatic spin on things at the 02:15 mark. Still, he is right about Fermat dying without revealing a proof of his claim to anyone. 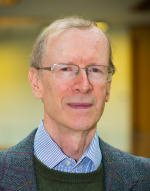 Thanks to modern-day mathematician Andrew Wiles, who this month receives the prestigious Abel Prize for his work on Fermat’s Last Theorem, we know that Fermat’s claim was correct. But did Fermat have a proof? That’s the question I want to explore today. And while we’re discussing the most famous proof Fermat never revealed, I’ll tell you about the proof method that Fermat did reveal — one that beautifully solves other problems of the same kind. The book Fermat defaced was his private copy of the Arithmetic of Diophantus, and the passage that snagged Fermat’s attention discusses the problem of dividing a square into two squares (think: 52 = 42 + 32, or 202 = 162 + 122, or for that matter 42 = (16/5)2 + (12/5)2, since Diophantus was as happy with fractions as he was with whole numbers). Fermat wrote in the margin: “However, it is impossible to divide a cube into two cubes, a fourth power into two fourth powers, or in general any number that is a power beyond the second power into two powers of the same kind, of which fact I have discovered a truly marvelous demonstration. The narrowness of this margin doesn’t permit [me to include it].” In modern notation: If n is a positive integer greater than 2, the equation xn + yn = zn doesn’t have any solutions in which x, y, and z are all nonzero rational numbers. (You thought I was going to say “integers” instead of “rational numbers”? See the first Endnote.) The claim came to light after Fermat’s death in 1665 when his son discovered and published his father’s marginal jottings. Given that a major share of Fermat’s fame among the general public nowadays owes to this claim, some people have wondered whether he might have been deliberately misleading posterity in a cagey bid for posthumous glory — that he knew how hard the problem was, and rightly guessed that if he claimed a solution he would be celebrated after his death as an unparalleled sage. Could his claim have been pure bluff? It’s a fun theory, but it doesn’t fit with what we know about Fermat and his contemporaries. Problems like FLT just didn’t excite much interest among top mathematicians during Fermat’s lifetime. Calculus was gestating in the womb of European scientific culture, and the problems that led to the invention of calculus were the sort of problems that excited people. Fermat’s innovative work on analytic geometry, on computing areas, on optics, on optimization — these were the sorts of things that gave him his reputation. In contrast, Fermat had a hard time convincing people that problems like his Last Theorem had much value. His procedure for constructing solutions to the Pell-Fermat equation did elicit some interest from the likes of John Wallis, but Wallis found Fermat’s negative results (such-and-such an equation has no solutions in whole numbers) less interesting. Blaise Pascal, one of the few who appreciated Fermat’s pioneering work on probability, was outright dismissive of Fermat’s work on number theory. Fermat was urging his contemporaries to impose constraints of rationality, and integrality, for no reason other than the pure challenge of it. Equations that are easy to solve in real numbers often become extremely subtle when one adds as a side-condition that the numbers must be rational or must be whole numbers. Later generations came to see this subtlety as a good thing; the fact that these problems were hard but still doable was a sign that these were problems worth doing. The greatest mathematicians of succeeding centuries, notably Leonhard Euler and Carl Friedrich Gauss, were interested in what Fermat had done and even more interested in what he had left undone; their imprimatur turned Fermat’s grab bag of puzzles about whole numbers into a field of mathematics called number theory, and gave that field legitimacy and luster. It should however be mentioned that Gauss was unimpressed by FLT, pointing out (after finding a proof of the n=3 case) that in number theory it’s very easy to come up with problems that are very hard. By the early 1800s, mathematicians had settled every claim made by Fermat except one, and this led to that surviving problem being elevated to the status of “Fermat’s Last Theorem”, with all attendant fanfare. (In case you wondered, Fermat’s “next-to-last theorem” was proved by Augustin-Louis Cauchy in 1813.) Fermat’s claim that his proof of FLT was “truly marvelous” added extra poignance to this gap in humanity’s knowledge. But back in the 1600s, the difficulty of Fermat’s problems made most mathematicians think that they should direct their efforts elsewhere. As Fermat’s contemporary Christiaan Huygens wrote, “There is no lack of better things for us to do.” So, if Fermat had wanted to wow people with a dishonest over-the-top claim, he wouldn’t have done it with FLT. Still, you may uncharitably suspect that Fermat’s coyness about his proof is evidence that he didn’t have one. But you need to know that for Fermat, making a statement without giving a proof was the norm, not the exception. He didn’t publish anything about his work on numbers, but instead contented himself with writing letters to other mathematicians. (Yes, Fermat was an “amateur”, technically speaking, but so was everyone else.) He seems at times to be in a curious game with his correspondents, where he poses a problem and implies that he’ll reveal the solution but only after his correspondent has given it a shot. So it’s quite plausible that Fermat could have possessed a proof of his “last theorem” yet not wanted to reveal it until others had tried to solve the problem and failed, the better to highlight his own cleverness. In any case, I’ve never seen any credible evidence that Fermat was attempting to mislead posterity when he wrote his marginal comment. I think Fermat really came up with an argument that he believed was a valid proof. It wasn’t the argument of Andrew Wiles and Richard Taylor, which is couched in terms of concepts (like “elliptic curves“) that weren’t formulated until centuries after Fermat’s death, and which draws upon ingenious contributions by dozens of researchers. But historians of mathematics think Fermat must have possessed, and believed, an argument of some kind. if we want to understand what Fermat meant when he said he’d proved something in number theory, we need to know what sorts of methods he used. 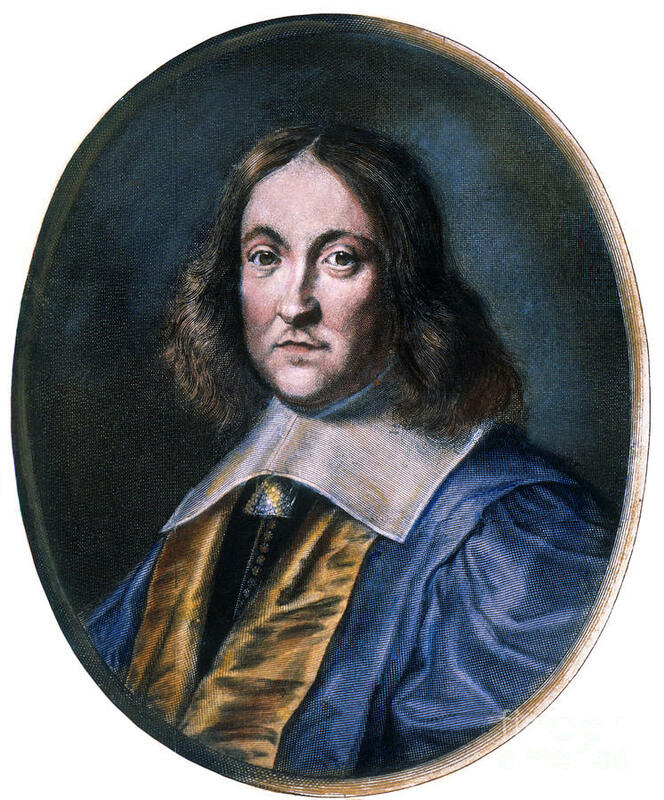 Fortunately, Fermat himself comes to our assistance here, since he did give one fairly detailed number-theory proof in his lifetime, and it used a method that he regarded as his greatest contribution to the subject: his “method of infinite descent“, described in his 1657 letter to Pierre de Carcavi. It’s easy to come up with an infinite sequence of positive integers in which each term is bigger than the one before: the sequence of primes will do, or the sequence of perfect squares, or for that matter the sequence 1, 2, 3, 4, …. But can you come up with an infinite sequences of positive integers in which each term is smaller than the one before? A moment’s thought will show that the answer is “no”. If, say, the first term is a million, then the second must be at most 999,999, and the third must be at most 999,998, and so on; after a million terms (if not sooner), the sequence finds itself boxed into a corner, since the terms of this decreasing sequence are required to be positive integers. If the first term of the sequence is not a million after all but a larger number, say a billion, then the sequence is still doomed to terminate, even though it can postpone its inevitable termination considerably longer. The upshot is that there is no infinitely long descending sequence of positive integers; regardless of how big its first term is, sooner or later any descending sequence of positive integers must stop. This humble-seeming principle of Fermat’s has profound consequences. For instance, let’s apply Fermat’s method to the equation xy + y2 = x2, to show that it has no positive integer solutions. Fermat would have stated his proof in purely algebraic terms, but I’ll do it geometrically, to make the logic clearer. But keep in mind that Fermat never applied his method of infinite descent to the comparatively easy equation xy + y2 = x2; he invented the method to crack tougher nuts, like the equation x4 + y4 = z2, which he explicitly boasted about in his letter to Carcavi. Figure 1. A golden rectangle. To start our analysis of xy + y2 = x2, first replace “x” by “a” and “y” by “b” (so that it’ll match the picture that I got from someone else), to obtain the equation ab + b2 = a2; then use algebra to rewrite it as (a+b)/a = a/b; and then represent the equation geometrically by drawing an a-by-(a+b) rectangle with an a-by-a square and an a-by-b rectangle inside it, as shown in Figure 1. The equation (a+b)/a = a/b (read as “a+b is to a as a is to b“) asserts that the big a-by-(a+b) rectangle is geometrically similar to the small a-by-b rectangle: rotate the former by 90 degrees and shrink it and you’ll obtain the latter. Thus the large rectangle is what the Greeks called a golden rectangle: it consists of a square plus a smaller copy of itself. For that matter, the smaller rectangle, being similar to the large rectangle, is a golden rectangle too; as we see in Figure 2 (taken from Curt McMullen’s website), the small golden rectangle can be decomposed into a square and an even smaller golden rectangle, which can be decomposed into a square and an even smaller golden rectangle, and so on, ad infinitum. Fig. 2. Golden rectangles all the way down. Courtesy of Curtis McMullen. This picture, although a bit vertigo-inducing when you first see it, isn’t mathematically problematical. If you start with a golden rectangle, you can just keep drawing smaller and smaller squares and smaller and smaller golden rectangles until you run out of patience (or can’t find a sharp enough pencil). But what if you don’t start with a golden rectangle? What if you want to draw a golden rectangle from scratch, and what if you insist that your golden rectangle should have integer sides, relative to some unit of length (nanometers, say)? To see what this leads to, look at the successively smaller golden rectangles in Figure 2. If the largest one has integer sides, then (by the observation I made in the preceding paragraph) so does the next, and so does the next. We get an infinite sequence of ever-smaller integer-sided rectangles. See the problem? Taking the short side of each of these rectangles, we get an infinite sequence of ever-smaller positive integers. And that’s impossible, by the principle of infinite descent. So there cannot be an integer-sided golden rectangle. The proof we just saw is an example of an indirect proof: to show that something is mathematically impossible, we show that its existence is self-inconsistent or inconsistent with what is already known. For instance, to show that there cannot be an integer-sided golden rectangle, we showed that the existence of an integer-sided golden rectangle would imply the existence of an infinite descending sequence of positive integers, which the principle of infinite descent assures us cannot exist. If this is the first time you’ve seen an indirect argument, you may be feeling uneasy — it feels like cheating! If you’re feeling that way (and it’s perfectly normal to), perhaps you’ll feel better if I point out that this is a mode of reasoning that is not well-suited to our real world, in which the properties of objects are subject to doubt. That’s probably why your brain is sending up red flags. But in math, precisely because we are dealing with mental constructs that are-what-they-are by definition rather than empirical observation, proof by contradiction is a legitimate way to reason. In constructing mathematical arguments about counting numbers we are permitted to assume that there are no infinite decreasing sequences of counting numbers — not because we haven’t encountered such sequences in our lives thus far, but because this property is part of what we mean by the counting numbers. If you think that mathematics would be better off if there weren’t indirect proofs, here’s a question to ponder: how else would you try to prove that something doesn’t exist? By looking in all the places where it might be and failing to find it in any of them? That won’t work if there are infinitely many places to look! One advantage of the indirect method of proof is that, in your successive deductions, you’re aiming for a very broad target: arriving at any self-contradiction will complete the proof. Think about the deductive process as a way of navigating around in some space whose locations correspond to states of knowledge. If you’re trying to prove that proposition P implies proposition Q, then you start from P and try to construct a route to Q; there might be only one route, and it might be tricky to find. But if you’re trying to prove that the proposition P and the proposition “not-Q” together imply a contradiction, any contradiction will do as your destination. Just start drawing random conclusions from your premises and see what you’re led to! So this style of proof often gives you more elbow room than a direct proof affords. If you liked the proof that there is no integer-sided golden rectangle, you might try to prove, by similar means, that there is no regular pentagon whose five equal sides and five equal diagonals all have integer length; see the Endnotes. WHAT DID FERMAT KNOW, AND WHEN DID HE KNOW IT? It’s conceivable that Fermat found a correct proof, but with each passing year it seems less and less likely. That’s because amateur mathematicians who possess most of the tools at Fermat’s disposal and often a great deal of cleverness continue to invest large amounts of time in unsuccessfully trying to find elementary proofs of FLT. (If you’re one of these people, please check the End Notes before you decide to send me your current draft of a proof, so you’ll know why I must regretfully decline to read it.) If there really was a simple proof, wouldn’t it have surfaced by now? Most historians incline toward the view that Fermat made a mistake. (It would not be the only mistake he made; see the article “Fermat’s fallibility” listed in the References.) This hypothesis would be strengthened if historians could reconstruct some plausibly Fermat-ish false proofs of FLT. One candidate is a false proof found by Gabriel Lamé two centuries after Fermat; although it involved ideas not available in Fermat’s time (notably the importation of complex numbers into number theory), it’s conceivable that Fermat had some intuitive, idiosyncratic way of thinking about such numbers without actually concretizing them the way we do now, say by ingenious use of trigonometry. So perhaps Fermat found a brilliant way to make Lamé’s mistake two centuries ahead of schedule. But even without a specific candidate in mind, we can see that Fermat was working on a problem in which mistakes would have been easy to make. Proving that something doesn’t exist nearly always requires an indirect argument, and when you construct an indirect argument, deriving any contradiction will do. This makes it very easy to accidentally construct a bogus indirect proof: just make an algebra error along the way, resulting in a contradiction that (unbeknownst to you) was not inherent in the collection of premises you started with but rather resulted from an error of reasoning. The curious incident for us is that, in all his letters, including his final letter to Carcavi in 1659 (the one in which he summarized his life’s work in number theory), Fermat did not boast about having proved FLT. He does assert that x4 + y4 = z2 has no positive integer solutions, and this implies the n=4 case of FLT (since every perfect fourth power is also a perfect square). Fermat also claims to have used his method of infinite descent to prove that the equation x3 + y3 = z3 has no positive integer solutions. But on equations of the form xn + yn = zn with values of n larger than 4, he is utterly silent. Doesn’t it seem likely that, at some point after he thought he’d proved FLT, he realized he hadn’t, and that he simply neglected to update his marginal note, or forgot he’d written it in the first place? We may never know the truth, but unless and until more evidence arrives, that seems the most plausible solution to this mathematical mystery. Thanks to Keith Conrad, Noam Elkies, Bill Gosper, Fernando Gouvea, Sandi Gubin, David Jacobi, Andy Latto, Barry Mazur, Henri Picciotto, Steven Strogatz, and Allan Wechsler. I am neither a number theorist nor a mathematical historian, so there may be mistakes in this essay; if there are, (a) they are my sole responsibility, and (b) please let me know about them! Next month (June 17): Sri Ramanujan and the Secrets of Lakshmi. #1. I’ve passed back and forth between focusing on finding rational solutions to equations (as Diophantus did) and focusing on finding integer solutions (as Fermat did, mostly). This was sometimes a point of confusion between Fermat and his correspondents. Fortunately, in the case of FLT, the point is moot. If there were a counterexample to FLT in nonzero whole numbers, then (since every whole number is rational) there would be a counterexample to FLT in nonzero rational numbers. The reverse is also true, since if we had a fractional solution, clearing out denominators would give us a whole number solution. Specifically, if (a/b)n + (c/d)n is an nth power in the rational numbers, then (ad)n + (bc)n is an nth power in the integers. Given that Fermat was “replying” to Diophantus, he was probably referring to rational numbers in his original assertion of FLT. But that’s equivalent to the usual way of stating the claim in terms of whole numbers. #2. In July 2016 I posed a puzzle that Adam Goucher was able to solve using the n=3 case of Fermat’s Last Theorem. The question was: does there exist a set of three rational numbers whose sum is 0 and whose product is 1? (There does exist a smaller set of rational numbers having sum 0 and product 1, namely the empty set! And indeed that’s what motivated my question. But that’s another story.) It’s easy to see that in any such trio of numbers, two must be negative and one must be positive, so we may write the three numbers as −a/c, −b/c, and (a+b)/c where a, b, and c are positive integers. Because the product is 1, we must have ab(a+b)/c3= 1, so ab(a+b) = c3. 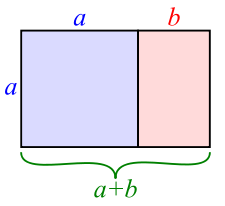 Assume that a and b have no common factor (or, if they do, remove that common factor, obtaining a smaller pair of numbers a’, b’ such that a’b’(a’+b’) is a perfect cube, and then continue the argument with that smaller pair). Since a, b, and a+b have no common factor, the only way for their product to be a perfect cube is if each of them is a perfect cube. So, write a = x3, b = y3, and a+b = z3. This gives us positive integers x, y, z satisfying x3 + y3 = z3: contradiction! On the other hand, if you’re willing to settle for a triple of real numbers, then φ, -1, and -1/φ will do, where φ=1.618… is the golden ratio (the ratio of the long side of a golden rectangle to its short side — the number that we just proved is irrational). Or, if you’re willing to settle for a quadruple of rational numbers, then 2, 1/2, -2, and -1/2 will do. #3. For the proof of the nonexistence of a regular pentagon whose five equal sides and five equal diagonals all have integer length, see “The incommensurability of side and diagonal in a regular pentagon” listed in the References. Someone with some visual verve could make a great video illustrating this proof, dynamically highlighting the equality of various lengths by sliding and swinging line segments; if you make such a video, please let me know! (Are you listening, 3Blue1Brown?) It’s worth mentioning that although geometrically this looks very different from the proof about golden rectangles that I presented, from a numerical perspective, they are both proving the same thing, namely the irrationality of the golden ratio. #4. A variant of the principle of infinite descent is the least element principle, also called the well-ordering principle; another variant is the principle of mathematical induction. They are logically equivalent to one another and play roughly equivalent roles in number theory, although sometimes one of them is better-suited to some task than the other two. Here’s how one might use the least element principle to show that there is no (positive-) integer-sided golden rectangle. Suppose to the contrary that there were such a rectangle. Then there would have to be a smallest one. But then, removing a square from that particular rectangle, we would obtain an even smaller integer-sided golden rectangle . This is a contradiction, and it shows that we were wrong in imagining that an integer-sided golden rectangle could exist. The general strategy is, to show that a certain sort of mathematical object cannot exist, assume the contrary for argument’s sake; then focus on the minimal counterexample, or what some call the “minimal criminal”; and then show that the minimal criminal is not the smallest counterexample. Which proof do you prefer? It’s a choice between two styles of detective work. In one, we lay a trap for the suspect; in the other, we just proceed straightforwardly, asking more and more questions until the suspect’s story becomes clearly untenable. Nowadays most mathematicians prefer the least element principle. Either way, we interrogate our suspect until it confesses its nonexistence! If the ancient Greeks knew that golden rectangles couldn’t have integer sides (and there are reasons to think that they did), they probably used infinite descent, since it relates closely to their method of anthyphairesis. So Fermat may not have been the first to use infinite descent. But he was the first mathematician to realize how versatile and powerful it could be. #5. If you send me a proposed proof of FLT, I won’t read it. Why won’t I? I hope you’ll forgive me if I treat you statistically. (Nobody is a mere statistic in his/her own eyes, but in the eyes of other people, we often must be.) With one important exception, all attempts at proving FLT by professional and amateur mathematicians alike over the past few centuries have failed. The difference is that the professional mathematicians’ failures have sometimes been instructive for the mathematical community: the flawed argument settled important special cases of FLT, or the flaws in the proof, when brought to light, uncovered important new principles. Amateurs’ failures, in contrast, when brought to light, uncovered principles that were already well-known to number theorists, when they uncovered anything at all. None of this rules out the possibility that you are the rare exception: an amateur with an approach that is both new and valid, or at least new and instructive. Unfortunately, my time is finite, like my money; I almost never play the lottery (see “When Not to Expect What You’re Expecting“), and I don’t want to invest time in a mathematical project that, from my (fallible) point of view, is unlikely to lead to anything. But I’d be delighted to turn out to be wrong. There are indeed. Nowadays, we know that if P and Q are rational points on the curve x3+y3=7 (that is, points whose x– and y-coordinates are rational numbers whose cubes add up to 7), and if the straight line through P and Q goes through a third point R on the curve (as it nearly always will), then R will be a rational point too. For instance, taking P = (5/3,4/3) and Q = (2,−1), we get R = (73/38, −17/38): a new rational solution to x3+y3=7. If Fermat had taken a hard look at the problem of writing 7 and other non-cubes as a sum of two cubes, allowing rational numbers the way Diophantus did — and (more importantly) if Fermat had done a better job of interesting his contemporaries in his work — the theory of elliptic curves could conceivably have been initiated in the seventeenth century rather than the nineteenth. And who knows? Maybe the proof of FLT would have been found earlier as a result! Bill Casselman, “The incommensurability of side and diagonal in a regular pentagon”, http://www.ams.org/samplings/feature-column/fcarc-visual2 . Noam Elkies, “The ABC’s of Number Theory”, https://dash.harvard.edu/handle/1/2793857 . Alex Lopez, “Did Fermat Prove This Theorem?”, https://cs.uwaterloo.ca/~alopez-o/math-faq/node26.html . Math pages (Kevin Brown), “Fermat’s Fallibility”, http://www.mathpages.com/home/kmath195/kmath195.htm . MathOverflow, “How do we know that Fermat wrote his famous note in 1637?”, http://mathoverflow.net/questions/33265/how-do-we-know-that-fermat-wrote-his-famous-note-in-1637 . J. J. O’Connor and E. F. Robertson, “Fermat’s Last Theorem”, http://www-history.mcs.st-and.ac.uk/HistTopics/Fermat’s_last_theorem.html . Alf van der Poorten, “Notes on Fermat’s Last Theorem”, 1996. This entry was posted in Uncategorized on May 16, 2016 by jamespropp. I remember seeing a good candidate for a wrong proof that Fermat might have had in mind in the very beginning of the book “Fermat’s Last Theorem for Amateurs” by Paulo Ribenboim. I don’t remember the details though. It was quite short and quite elementary.